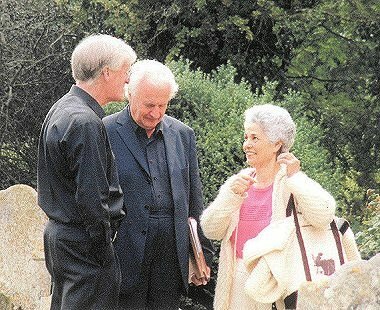 The original conversation was in August 2003, when Sir Colin Davis happened to say, 'You ought to do the St Matthew Passion in that lovely little church of yours'. As a result, after a few days thought, a letter to him said that I would arrange choirs and orchestras, no-one would be paid and no-one would be charged admittance - if he agreed to conduct. The reply: 'What a crazy idea! ... Im game ... You must dabble in the Black Arts to be able to assemble so many troops for nothing! But what an adventure'! 'The musical experience of my life', 'Thank you so much for inviting me to share in the wonderful experience of the St Matthew Passion this weekend. 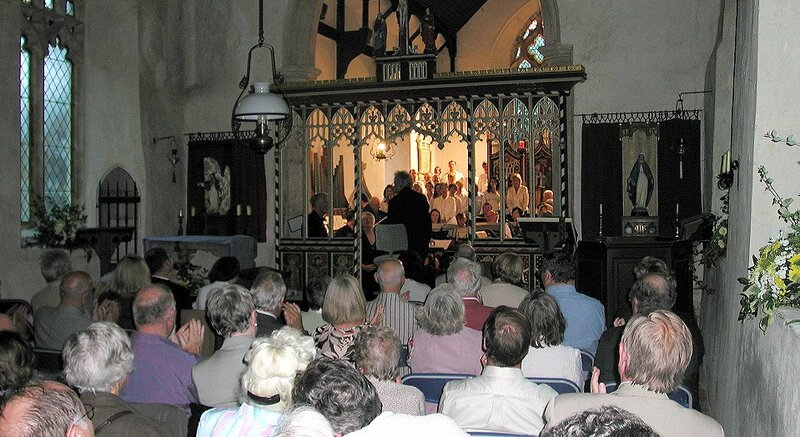 It is an occasion I shall never forget', 'An unforgettable weekend for us all', 'What a wonderful time we all had last weekend with the St Matthew. I found the performance on Saturday the most moving and was near to tears', 'It was one of the most enjoyable weekends of my life', 'A truly fabulous experience', ,Such a wonderful and uplifting weekend. It was a real privilege to have taken part in such a moving occasion ... D. felt it was one of life's great high points', 'A truly memorable three days of music-making. The musicians, your relaxed manner, the magnificent teas, and of course the remarkable conductor with his energy, wit and superlative professionalism made it quite unforgettable. Someone remarked along the way that it had a kind of family feel ... and 1 think that was just right. We were all on a journey together, and it was so special ... It was a privilege to be involved ... 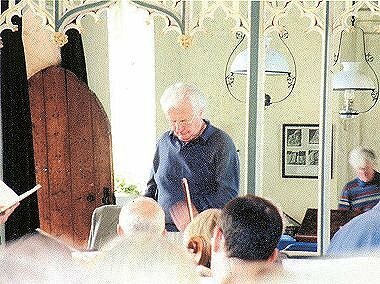 The combination of JSB, Sir Colin Davis, Kettlebaston hospitality, good musicians and lovely people culminated in an experience I shall always remember'.